Overdrive: Honda ready for Donington Battle. 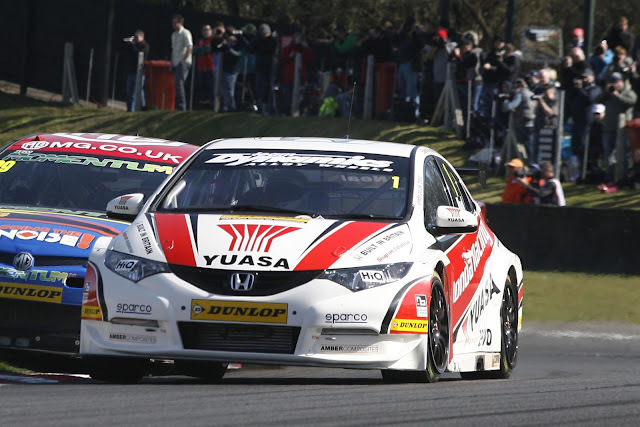 Matt Neal won't relinquish the sought after number 1 without a fight! 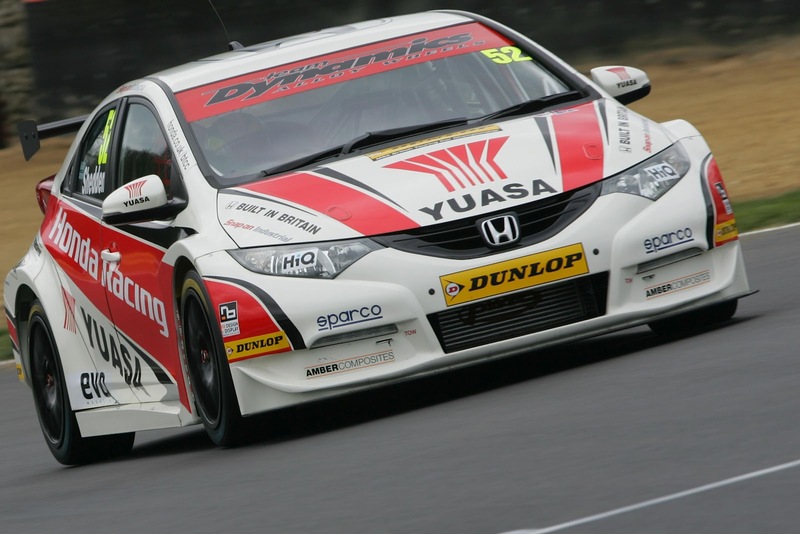 Gordon Shedden : " I think the issue at Donington will be straightline speed"
Reigning BTCC champion Neal gave the new NGTC Honda Civic a win on its debut at Brands Hatch earlier this month and currently lies second in the drivers’ standings. That means he will have to carry 36kg of success ballast in the first Donington race, but the three-time title winner believes he will still be in the fight. “We’re expecting more of the same – our strengths are braking and high-speed corner stability,” said Neal, who feels a bigger issue could be the low boost level all the Civics have to run compared to its rivals. Neal took a race win and a third at the Leicestershire venue last year, and he thinks the racing will be even more competitive this weekend. “I think there’ll be more people in the hunt this year and I really don’t know how we’re going to go,” he said. Neal’s team-mate, 2011 runner-up Gordon Shedden, also believes the boost restriction could hurt Honda at Donington, despite the high abilities of the chassis. “Handling wise it was very good at Brands, I think the issue at Donington will be straightline speed,” he said. Nevertheless, Shedden is hoping to bounce back from a difficult Brands Hatch weekend. Despite good pace, the 33-year-old was limited to one fifth place thanks to electrical gremlins, but he now believes the car should run smoothly.